Classic Chambers provides exclusive loos to events across the north of England. We take pride in being a very friendly and approachable company, whilst providing extraordinary mobile toilets with a professional service. We have experience in supplying luxury toilets for a broad range of events ranging from private parties and weddings through to prestigious corporate functions and sporting events. We provide toilet hire in Cumbria, Lancashire, Yorkshire, Cheshire, Northumberland, Durham, Merseyside and Greater Manchester. The Classic range of mobile toilets are available in various sizes to suit the scale of your event and we provide advice about which model would be required for any given circumstance. A brand new product for 2012, the WC3 concept is all about providing loos that are an integrated feature of your special event. Underlying WC3 is the latest vacuum technology using a freshwater flush system, free of any chemicals and only requiring 0.5l of water per flush. This makes it an environmentally sustainable, clean and fresh approach to mobile loos. With every flush the air is changed in the WC cubicle eliminating the need for deodorisers of any sort. From weddings and private celebrations to corporate launch parties, VIP areas and sporting events, we can deliver a package that exceeds your expectations. We discuss your requirements and provide a recommendation for toilet hire that we believe is right for your event. The company continues to add flare to their mobile washrooms with designer fittings, professional lighting schemes and modern artwork, all seamlessly incorporated to create fabulous loos. 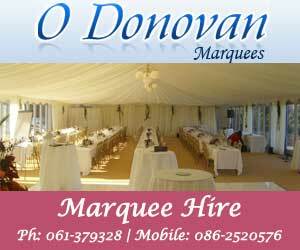 Marquees give your wedding a unique atmosphere. They instantly create an air of expectation, as they are a setting away from everyday life. 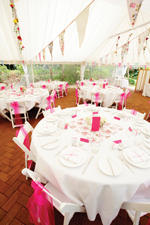 They are positioned specially in that area, to mark your wondrous occasion. They look sensational when erected in the right way, by a reputable company. However do it wrong and your wedding will end up looking like the dodgy summer camps of your childhood, where you hid morning, noon and night in your sleeping bag, to escape the drips of rain that are weaving their way ever closer to your forehead. In short - miserable. Available to hire all year round.